Democratic California Rep. Eric Swalwell announced he will be running for president in a teased clip from his appearance on The Late Show with Stephen Colbert on Monday night. He has a town hall on gun violence, which he plans on making the defining aspect of his platform, scheduled for Tuesday in Coral Springs, Florida with Parkland shooting survivor Cameron Kasky. 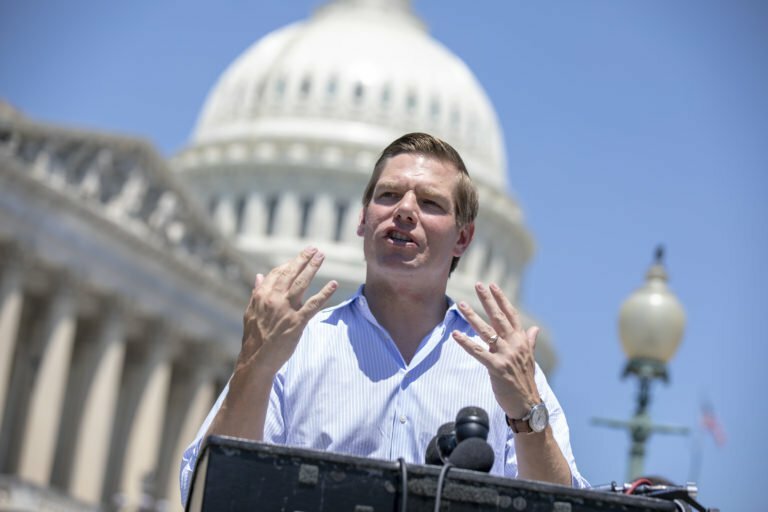 A member of the House Intelligence Committee, Swalwell has emerged as a strong critic of President Donald Trump, and has been one of many Democrats to repeatedly contest Attorney General William Barr’s conclusion that the Mueller report could not find evidence of collusion between Trump’s 2016 presidential campaign and Russia. Swalwell joined nearly 20 Democrats who have either already announced their candidacy or who are expected to run for president. According to an Emerson poll of Democratic Iowa caucus goers released last month, 25% of those surveyed picked former Vice President Joe Biden, who hasn’t even officially announced his candidacy, while Independent Vermont Sen. Bernie Sanders was one percentage point behind him.